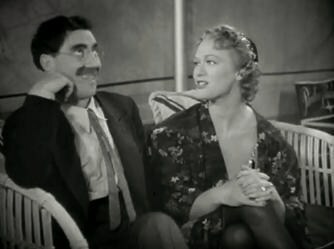 ایو آردن (اینگیلیسجه: Eve Arden) آمریکالی اوْیونچو ۸۲ ایل عؤمر ائله‌ییب و ۱۲ نوْوامبر ۱۹۹۰ میلادی تاریخینده وفات ائدیب. 1928–۱۹۸۷ ایللر آراسیندا سینما ساحه‌سینده چالیشیب. 1951 Starlight Theatre Julie Todd "Julie"
1955 I Love Lucy Herself (cameo) "Hollywood at Last"
1961 Checkmate Georgia Golden "Death by Design"
1962 My Three Sons Marisa Montaine "A Holiday for Tramp"
1964 Vacation Playhouse Claudia Cooper "He's All Yours"
1965 Laredo Emma Bristow "Which Way Did They Go?" 1966 Bewitched Nurse Kelton "And Then There Were Three"
1966 Run for Your Life Mame Huston "Who's Watching the Fleshpot?" 1966 Man from U.N.C.L.E., TheThe Man from U.N.C.L.E. 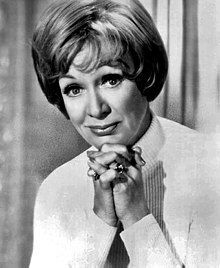 Prof. Lillian Stemmler "The Minus-X Affair"
1967 Danny Thomas Hour, TheThe Danny Thomas Hour Thelda Cunningham "The Royal Follies of 1933"
1974 ABC Afternoon Playbreak, TheThe ABC Afternoon Playbreak Mrs. Owens "Mother of the Bride"
1974 Girl with Something Extra, TheThe Girl with Something Extra Aunt Fran "The Greening of Aunt Fran"
1974 Owen Marshall, Counselor at Law Dr. Lucille Barras "Subject: The Sterilization of Judy Simpson"
1975 Ellery Queen Vera Bethune / Miss Aggie "The Adventure of Miss Aggie's Farewell Performance"
1977 Maude Lola Ashburn "Maude's Aunt"
1978 Flying High Clarissa 'Wedgie' Wedge "It Was Just One of Those Days"
1979 Vega$ Sarah Bancroft "Design for Death"
1980 Alice Martha MacIntire "Alice in TV Land"
1980 Love Boat, TheThe Love Boat Ms. Brenda Watts "The Affair: Parts 1 & 2"
1980 B. J. and the Bear Mrs. Jarvis "The Girls of Hollywood High"
1980 Hart to Hart Sophie Green "Does She or Doesn't She?" 1983 Great Performances Queen of Hearts "Alice in Wonderland"
1983 Masquerade Mrs. Woodman "Diamonds"
1985 Faerie Tale Theatre The Stepmother "Cinderella"
1986 Amazing Stories Jane's Mother "Secret Cinema"
1987 Falcon Crest Lillian Nash "Manhunt"
اینگیلیسجه ویکی‌پدیاسی‌نین ایشلدنلری طرفیندن یارانمیش«Eve Arden»، مقاله‌سیندن گؤتورولوبدور. ( ۲۱ دسامبر ۲۰۱۷ تاریخینده یوْخلانیلیبدیر). قارداش پروژه‌لرده ایو آردن گؤره داها آرتیق بیلگی‌لر تاپابیلرسینیز.